A new elevated expressway will be completed by the end of the month linking Hongqiao and downtown, relieving traffic congestion in northwest Shanghai. 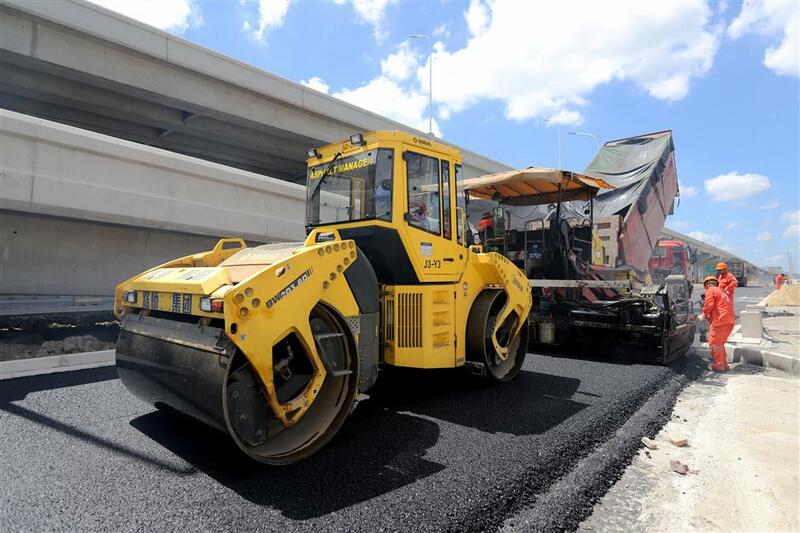 A road roller and workers pave pitch onto the newly built “entry section” of the S26 Expressway, a major thoroughfare between Shanghai and neighboring Jiangsu and Zhejiang provinces. A new elevated expressway will be completed by the end of the month link Hongqiao and the city center, relieving congestion in the northwest. 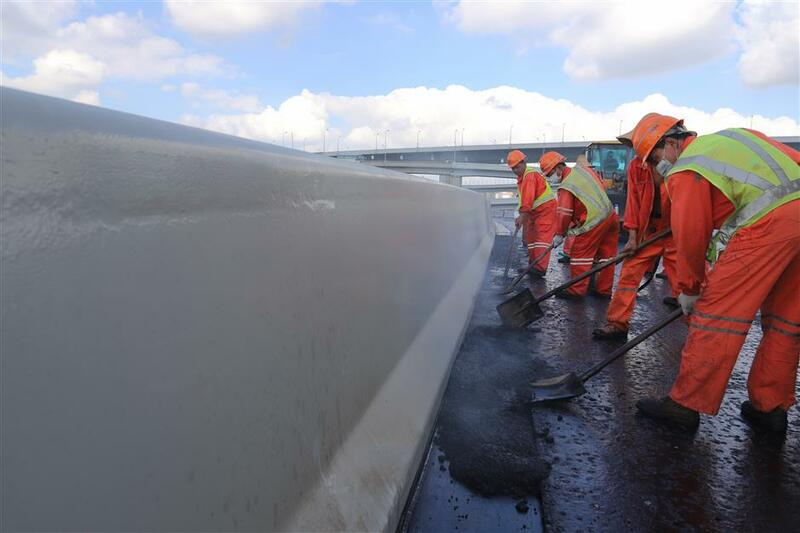 Pavement on the new entry section of the S26 Expressway was completed yesterday, the last stage of the project which will be an important connection between Shanghai and neighboring Jiangsu and Zhejiang provinces. The entry section, also known as the Shanghai-Changzhou Expressway, stretches 7 kilometers from Huaxin Town in Qingpu District to the Beidi and Jiamin elevated roads in Minhang District. “It is expected to become the city’s western gateway, as well as key access to the National Exhibition and Convention Center,” said Le Haichun with Shanghai Tunnel Engineering. 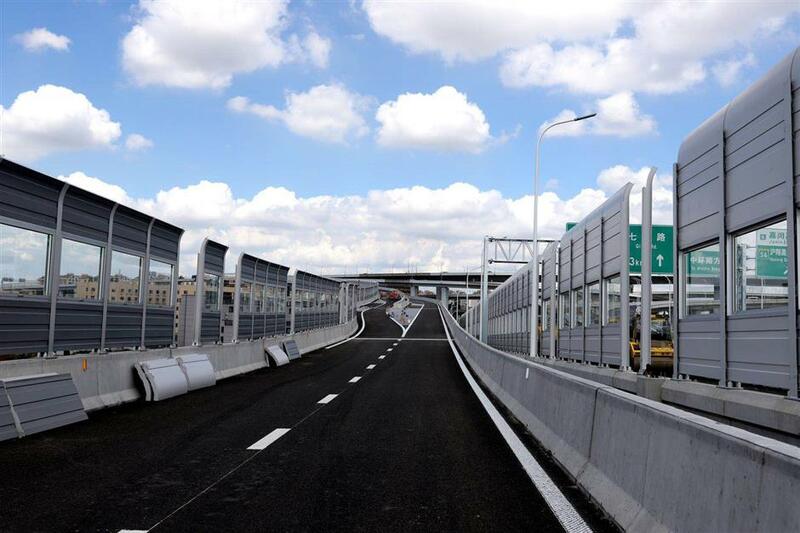 The S26 Expressway's entry section to the city, also known as the Shanghai-Changzhou Expressway, will officially open by the end of September. Workers pave pitch onto the newly built “entry section” of the S26 Expressway, a major thoroughfare between Shanghai and neighboring Jiangsu and Zhejiang provinces. To serve a large number amount of traffic, including heavy trucks, a more durable pitch has been used on the section of expressway. Compared with conventional pitch, the new pavement can endure great changes in temperature and extreme pressure. “The expressway is built with steel supports which are faster to build and can be recycled ,” said Le. Steel parts expand n summer and contract in winter, so the group invented a new pitch for the expressway, he added. About 68 percent of the highway was pre-manufactured in a factory to reduce noise, and dust. 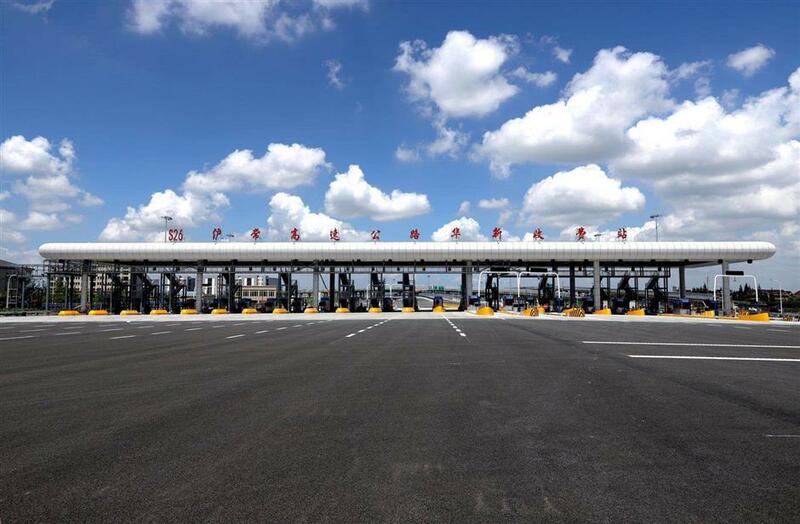 A new highway toll-gate has been built for the “entry section” of the S26 Expressway, a major thoroughfare between Shanghai and neighboring Jiangsu and Zhejiang provinces.